The trip is 148 km and approximately 10 hours driving time, depending on traffic and road conditions. We drive northward over Rohtang Pass (4114m) and into the predominantly Buddhist area of Lahaul. Following the Chandra river towards Keylong, we will then stop at Keylong for lunch. Beyond Keylong, we continue on to Darcha. We will have dinner at Darcha and drive on to our first camp Zanskar Sumdo (3860m) where we meet the rest of trekking crew. Overnight in tents Zanskar Sumdo. This day is for acclimatizing due to the high altitude before we commence our long trek. After breakfast go for a short hike to get used to the thinner air. Spend the afternoon relaxing in camp or play cricket with camp crew as this is a beautiful green, open area. Be sure not to over exert yourself. 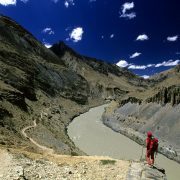 There is a gradual ascent along the Singo Chu River before we climb up toward the high peaks of Zanskar and camp at the base of Singo La Pass. 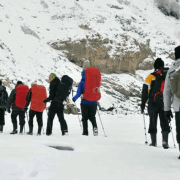 This is a demanding days walk up to the Singo La Pass gateway to the Zanskar valley. 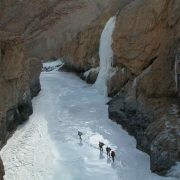 After crossing this pass we descend down in to Zanskar valley and camp in Lakhong. Approximately 6 hours. Early morning you will cross the Singo river and walk along the grassy meadows. 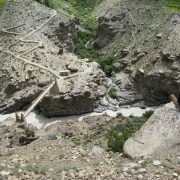 You finally reach the main Zanskar valley and pass through the village of Tabla, before a steep descent takes us to a bridge crossing to your camp site at Purne. There are a few shops in Purne selling soft drinks, chocolate, and a few other select items. You will walk up a very deep and impressive gorge with a fast flowing river to a remarkable and remote monastery. The 500 year old Gompa is built literally on the side of the cliff. Here you can visit the inner temple and see the stone tablet left by the Hungarians, Alexander Csoma De Koros one of the first explorers in Tibet, 1826-27. You will trek back through Tista and Tabla village to camp outside of Thaple village. Afternoon visit to typical Zankari village and barley and black cumin fields. Approximately 7 hours walk to the camp site. Early morning enter the narrow gorge before a steep ascent to the ridge. Magnificent views of Kargiak river and valley and huge yak grazing plains. Cross the Phitse River before entering the camp site. 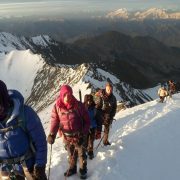 This is the most demanding day of the trek. Start early morning, crossing a little river and continue a windy ascent to Pritse La Pass. You will see the high snow covered ranges and peaks of Zanskar. Descend down through the glacier and boulders to the plains of Chumik Marpo. Camp at Chumik Marpo grazing area. Walk along huge yak grazing plains. Today we cross an icy cold river called, Khala Meera and few small streams. Meet Champa nomads before camp. Today, the walk is easier. We enter the plains of Spiti Valley. Today we can see the Leh highway. We will cross a little river before camp. This morning after breakfast, we say our farewells to our trusty cook, helpers and horsemen. We drive from Kelong Sarai to Leh, approx 10 hours drive through stunning scenery and crossing the world’s second highest pass. We arrive in the evening and check into our hotels for much anticipated hot showers and warm, comfy beds. 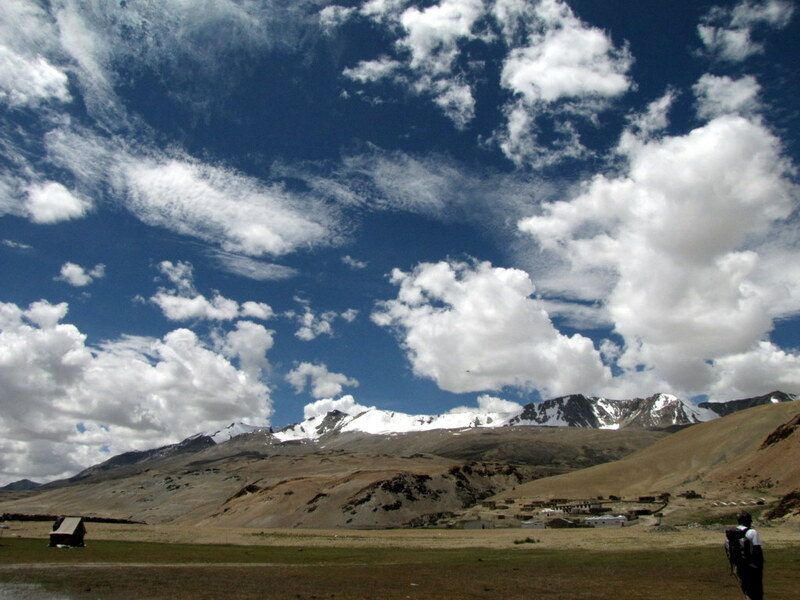 After breakfast at the hotel you may need to get acclimatized to both the weather and the altitude of Leh. Best to rest in the morning. Spend your afternoon at leisure. Suggested sightseeing: visit the Sankar Gompa, Shanti Stupa and the Leh Palace. Drive to Pangong Lake in jeeps. When you first look at the lake you can’t help but marvel at its beauty. Your camera will not remain idle for long. Return to your hotel and again spend the night in Leh. After breakfast at your hotel, proceed to Shey. Later proceed to Thiksey and see the Thiksey monastery and the Maitreya Temple. In the evening back to hotel & stay overnight in Leh. Enjoy the laidback vibe of Leh however you choose. After breakfast, we take you on a half day trip to the World’s Highest Motorable Road/Pass! Kardung La! Spend the afternoon at your leisure. Our trip ends after breakfast today. We say our goodbyes, hoping to see you again some day. Your departure by way of flight, bus, private car etc is by your own arrangements. Please let us know if we can assist you with this planning.